Mayfield is a manufacturer of Low Voltage switchboards, motor control centres and switchrooms with a history spanning over 73 years. Mayfield can offer an extensive range of Switchboard and Motor Control Centre solutions from custom built to proprietry modular systems. Degrees of protection ranging from IP20 to IP65 are available to suit particular applications and customers can select from a wide range of steelwork colours and finishes. 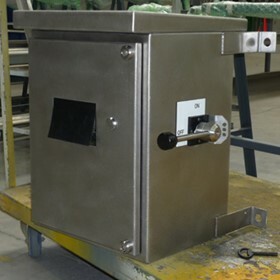 Cubicles are manufactured from mild steel, galvanized steel, aluminium or stainless steel and are available in single of double sided configurations. Fault levels from 25kA to 80kA and all forms of segregation: Form 1, 2, 3A, 3B, and 4. 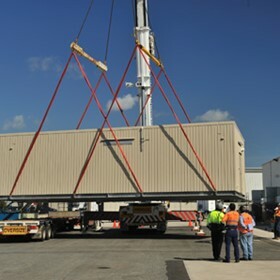 Our transportable switchrooms, control rooms and ammenity buildings are typically a full steel construction engineered to withstand the harshest environmental conditions, transportation and are specifically designed to support and protect the switchgear installed. Our buildings can be clad in a variety of materials and offer Fire Rating, VESDA, Deluge Suppression, stairs and landings, air-conditioning and pressurisation systems. 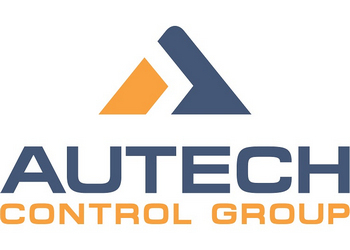 Supporting our switchboard and switchroom manufacturing we have complete fabrication workshop supported by the latest turret press technology. Typical projects include water and wastewater treatment plants, pumping stations, power generation and co-generation facilities, mining and mineral sectors, oil and gas industry, industrial, automotive, commercial and process industries. Mayfield’s manufacturing business has been operating continuously and successfully for over 73 years since it was established in Adelaide, South Australia, in 1936. Mayfield has delivered numerous switchboards, motor control centres and transportable switchrooms to customers within Australia and overseas. We have a strong commitment to producing high quality products, delivering on time and continuing research and development. 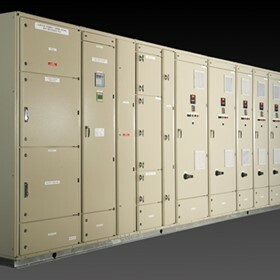 Mayfield uses the benefits of modular design and prefabrication to create adaptable and flexible switchroom solutions for any need, whether a Control, LV/MV/HV switchroom or ammenities building. Mayfield switchrooms are modern, factory-built and delivered complete to your site in 12-14 weeks.